Do you know that game human kids like to play - "Going on a Trip"? Let's play "Going on a Holiday Trip to Grandma's"! Because I'm a dog, we'll pack a car instead of a suitcase. 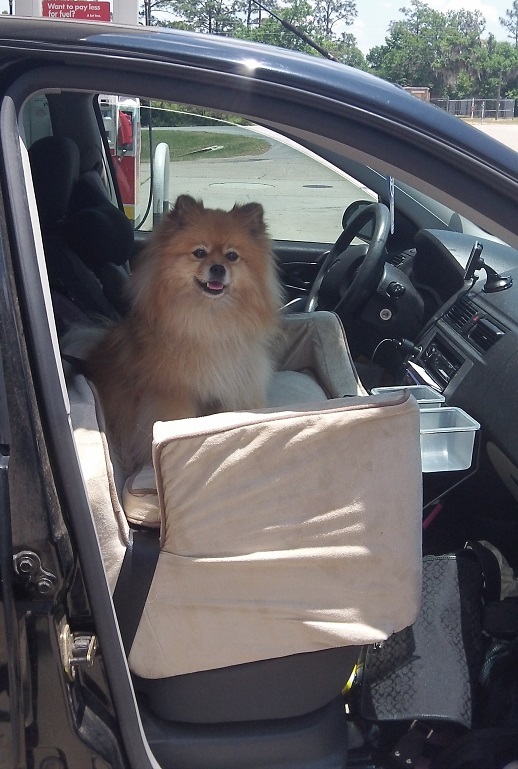 If you've traveled with a dog, you know a large part of the trip is getting there! BOL!! 1. Snoozer Luxury Lookout - It stays in my car, so it's already packed! 2. 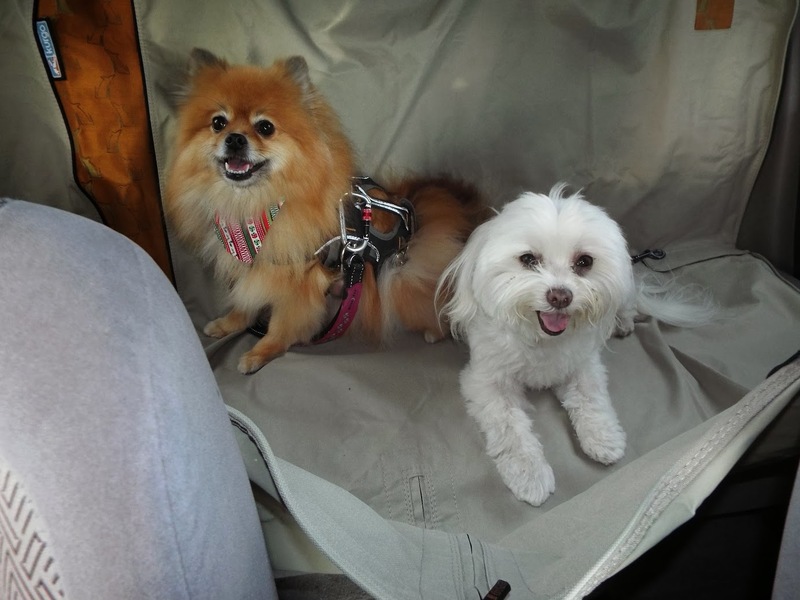 Kurgo Wander Hammock - This versatile hammock will protect your car's seats from dirty paws and other pet messes. Actually, it will protect your seats from human messes too! BOL! 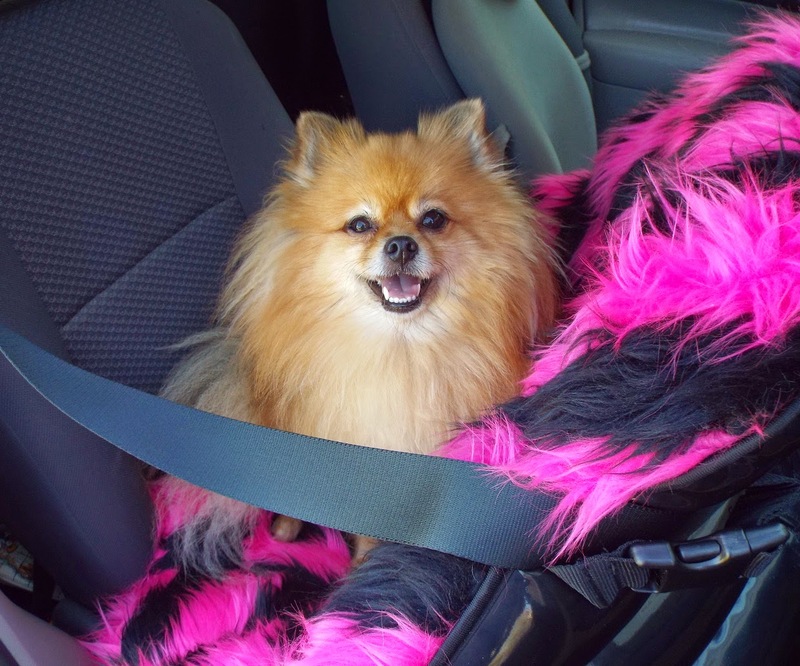 It has velcro openings that allow the seat belts & dog tethers to pass through. I wonder how many moms will get one to protect their seats from human child messes. BOL! It makes a comfy napping spot, and increases the amount of usable seat space for pets. Notice how it cradles Baron - without the Kurgo Wander Hammock, he would have fallen off the seat. We understand sometimes a human needs to sit back here too. Kurgo makes adjusting easy. There is a zipper in the middle that extends just far enough to reach the seat. You simply unhook the hammock from the front headrest, and unzip. Now a person can sit next to us. Even better, if that person happens to be dirty, the seat is still covered & protected by the hammock. 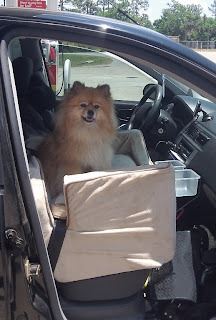 I am always tethered in a car, but some pets, like Baron, prefer to move around. The Kurgo Wander Hammock prevents Baron from going up front, where he might try to climb on the driver's lap. I imagine that a dog trying to jump up on their lap would be distracting for a human driver. The Kurgo Wander Hammock comes in this nice tote bag with a reusable water bottle. 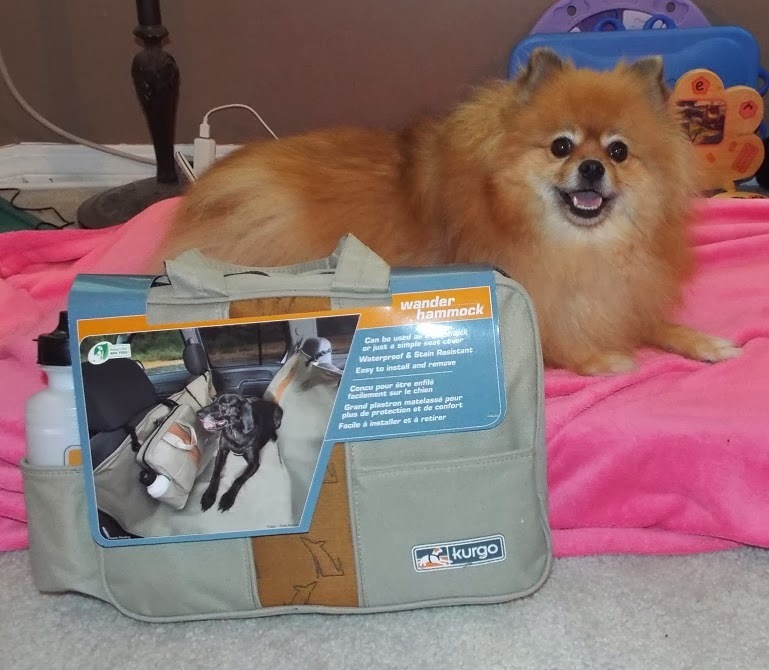 You can attach the bag to the headrest clips, and use it to keep your pet's supplies in easy reach. 3. Push Clean Pet Towelettes (the giveaway item) - You never know when furry paws or a furry tushie will need a quick cleaning. 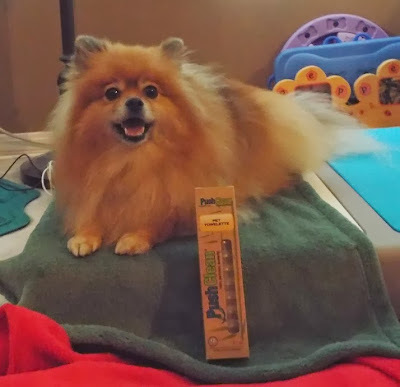 Push Clean Pet Wipes are one of Mom's favorite things to keep in her purse. They are really fun to use too! Push Clean wipes are individually packaged, with the liquid separate from the biodegradable bamboo towel. 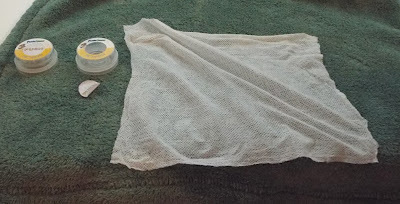 When you push the center down, the liquid is released into the towel chamber. After the towel absorbs the liquid, it pops up from its capsule. This special packaging ensures that each new wipe is moist, not dried up. The Push Clean liquid does not contain bleach or harsh chemicals. 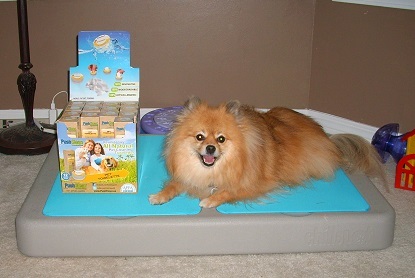 Each package contains 12 individual Push Clean Pet Towelettes. Push Clean also makes several varieties for human use, such as makeup removal. 4. Primal Food - I don't think there are any stores that carry this high quality food near Grandma's. 5. Bowls - I need something to eat and drink out of. BOL! 6. 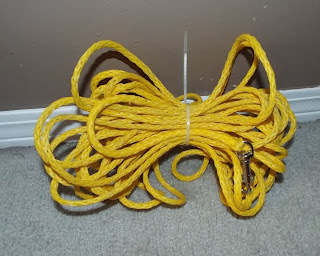 Long leash/tieout - Grandma's yard isn't fenced, so I will have to be tethered anytime I go outside. 7. Puplight2 collar light - Mom needs to be able to see me when I do my "night night potty time". It also helps her "scoop that poop" if she can actually see the poop! BOL! The super bright LED Puplight comes with a reflective collar. The reflective collar is really 2 separate pieces for greater adjusability. I am little, so I use it without the 2nd piece. 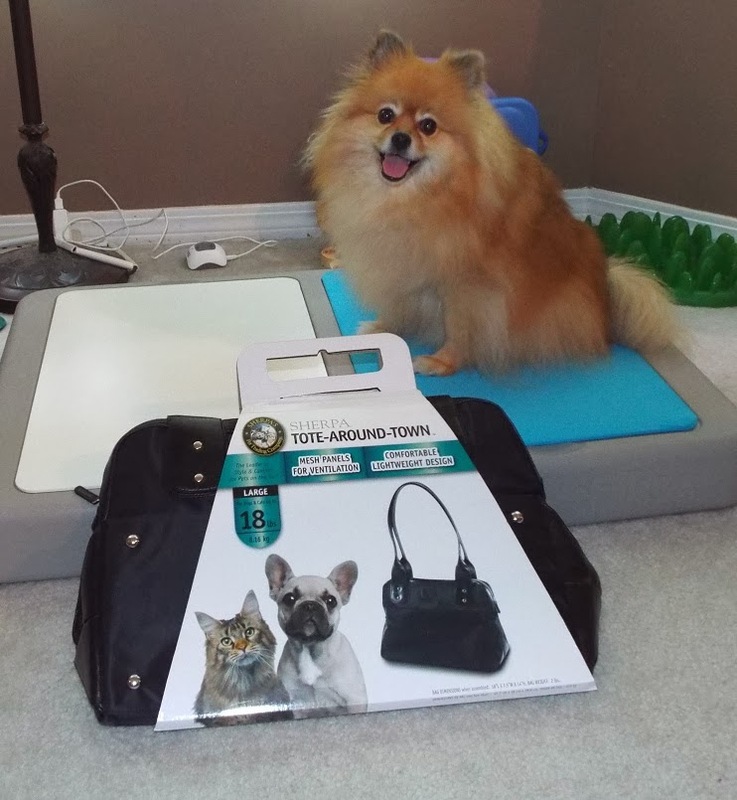 The Puplight2 has several furrific features. One of my favorites is the fur guard. 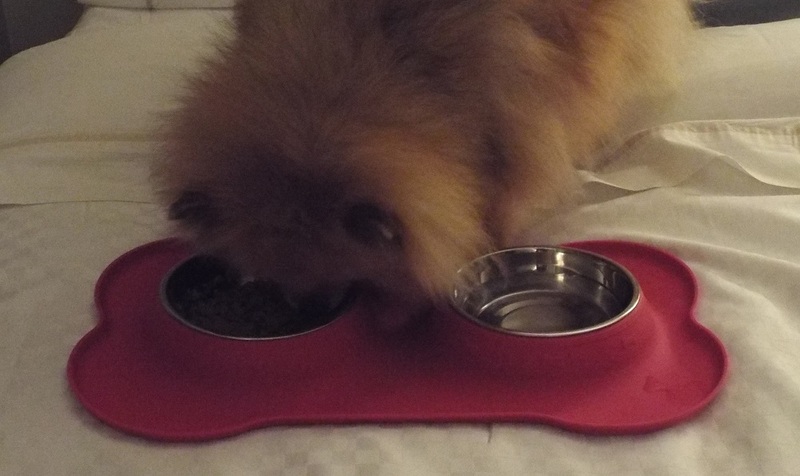 The fur guard is that black plastic part that hooks to the collar. It keeps my fur from hiding the light. The Puplight2 also has a built in reflector to prevent the light from shining up into my eyes while I am wearing it. Mom likes that it uses 3 AAA batteries instead of hard to find button cell batteries. You can barely see me in the first photo. But look how much brighter the room is when my Puplight2 is turned on. 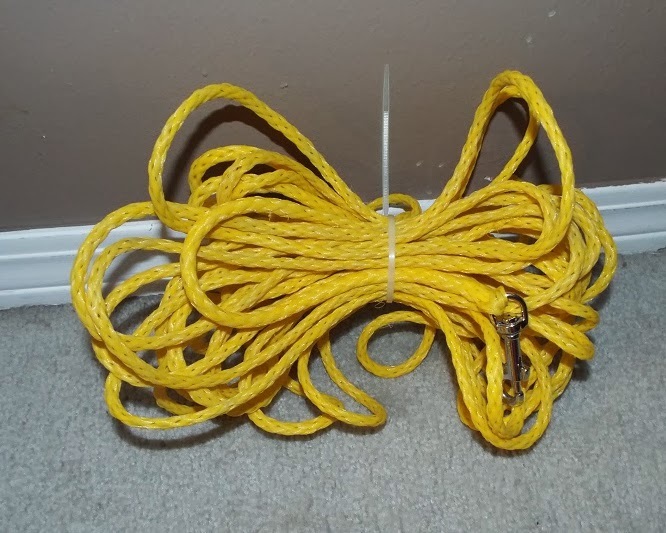 It can light a path up to 30 feet in front of me. The Puplight2 is so bright that it is visible up to a mile away. I consider that to be a pawsome safety feature! It is even bright enough to show through my thick fur. Mom can see me (or at least my light) all the way across Baron's large backyard. 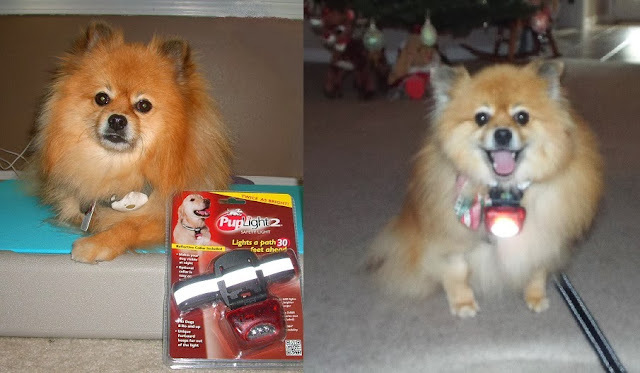 The Puplight2 is my favorite dog light, it is also the brightest, most visible one I own. We always pack my Puplight2 when we visit family. 8. Poop bags - A polite guest always scoops their poop! 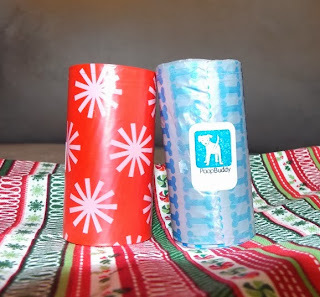 Since this is a holiday trip, I will pack pretty holiday poop bags. 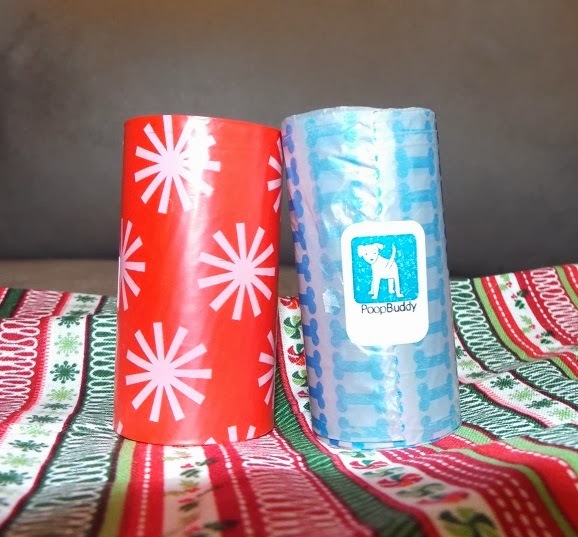 I will pack a roll of the peppermint scented ones from Petco, and an icy silver blue roll from my December PoopBuddy package. 9. Sherpa Tote Around Town - When you are a small dog, sometimes you need to be carried in a tote bag. Let's be honest, we have little legs, and we just can't walk as fast, or as far, as most humans can walk. We get tired, and we want to be carried. I am large for a small dog, so I don't fit in most of the stylish dog purses. I am so happy that Sherpa makes a fashionable tote bag that is large enough for me to fit in. It is called the Tote Around Town. 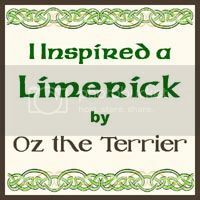 I need the size large, but it does come in a smaller size for smaller dogs. The Tote Around Town has comfortable shoulder straps, a padded bottom, and a large mesh panel. It folds flat for travel - just unsnap the side supports. The Tote Around Town has a nice roomy zippered side pocket that humans can use as their "purse". Then they don't have to carry 2 bags (their usual purse, and a bag for the dog). The Tote Around Town is classic black; it goes with everything mom wears. 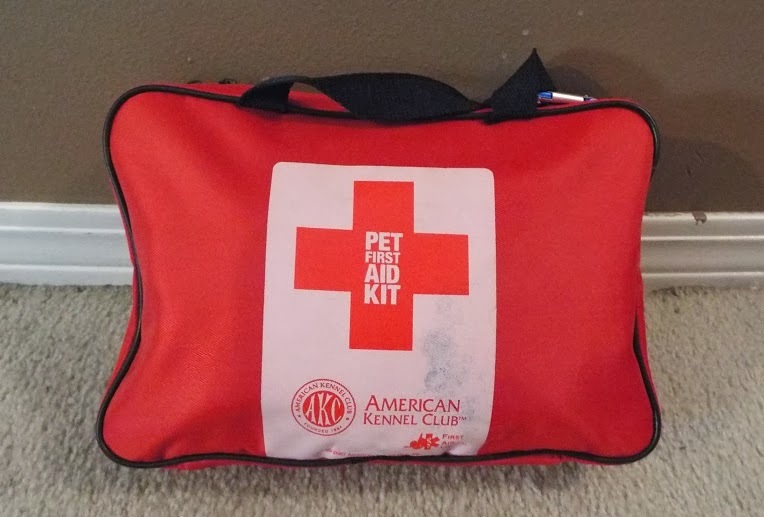 It can be worn with the mesh panel against the human if they don't want it to be obvious that there is a dog in their bag. 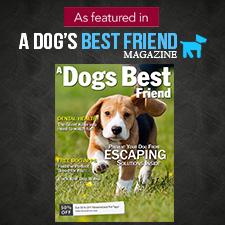 It's pawfect for shopping in dog friendly (or at least dogs permitted) malls. Baron's town has several outdoor malls that permit dogs. Mom has even used my Sherpa Tote Around Town as a "briefcase". Her purse is too small to hold the camera, or a clipboard. None of her computer bags are wide enough for the camera (except for the rolling one). My Sherpa Tote Around Town was a pawsome solution to Mom's problem. 10. First aid kit - I hope I don't need it, but it's best to pack it just in case. 11. Evanger's Beef Heart Treats for Dogs & Cats - Gotta have treats! I will bring some healthy ones to be sure no one is tempted to give me unhealthy table scraps. These treats are made in the USA. There is only one ingredient: Beef hearts. Pawsome! The raw beef hearts are freeze dried to make this healthy snack. Beef hearts are a whole muscle meat, so these treats are all natural. 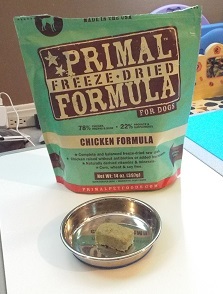 They are also grain & gluten free, so they are great for dogs who are sensitive to grain or gluten. Did I bark about how delicious they are? They are yummy! These beef hearts can be broken into smaller pieces to use as training rewards, or to mix with food to entice picky eaters. 12. Toys - I need something to do! BOL! I will pack my singing whale from Romeo, my oinking pig from Abby & Lucian, and the screaming monkey from my Rotties Rule Secret Santa! 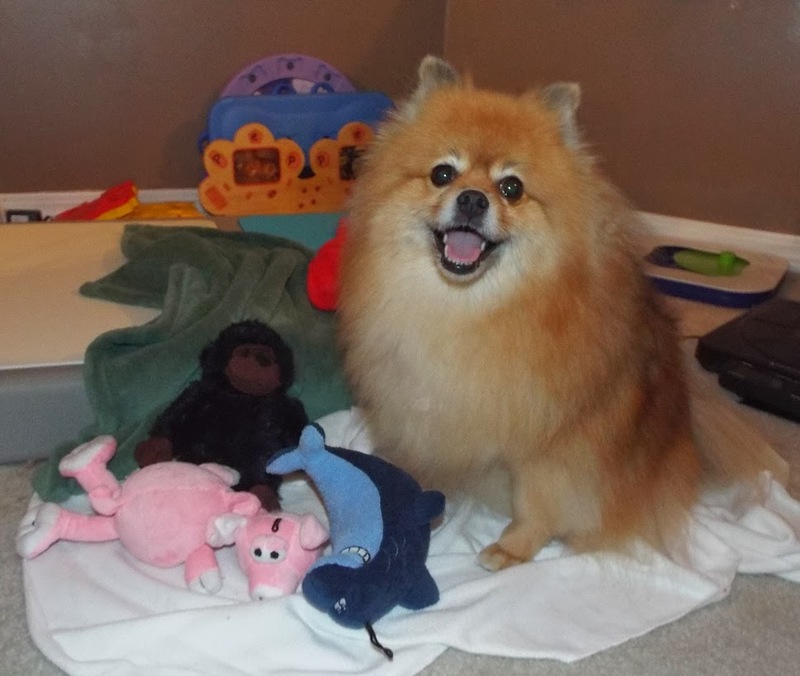 Thank you all for the pawsome toys! 13. 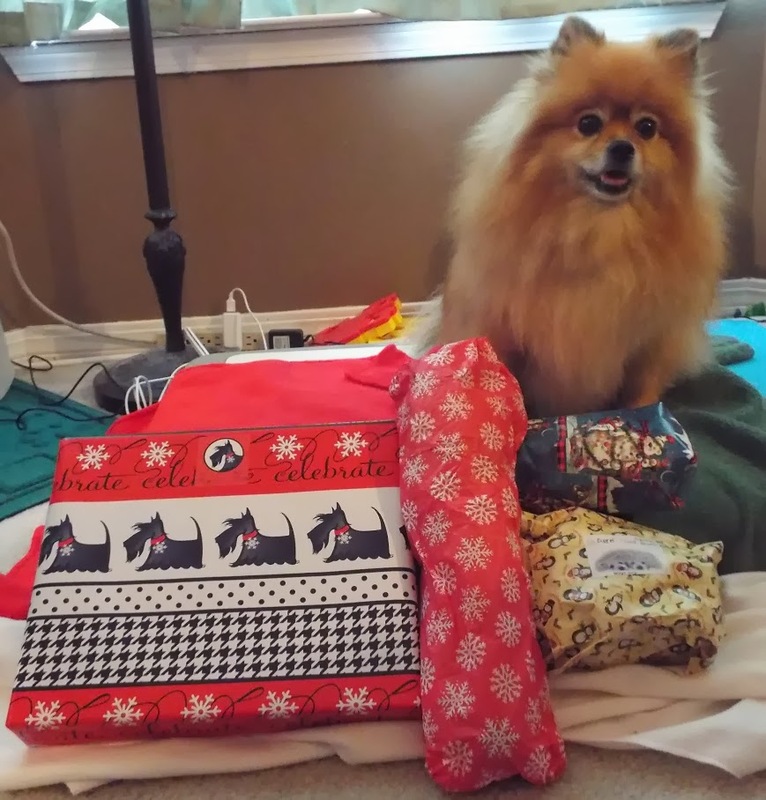 Gifts - This is a holiday trip. I need to bring holiday gifts of course. I did mention a giveaway earlier, didn't I? The giveaway prize is a package of 12 Push Clean Pet Towelettes! Review Disclosure: I did not receive any monetary compensation for this review. I was given a free product to review. The opinions in this review are my own and not influenced by any outsider . I receive no additional benefits for talking about the product or company. 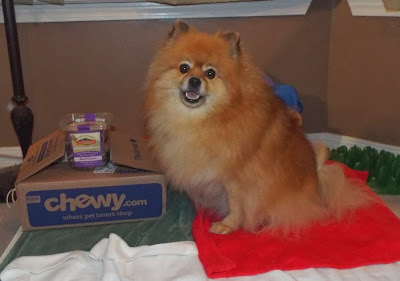 I'm a member of the Chewy.com blog network. Giveaway Disclosure: I did not receive any compensation for this giveaway. I was given a product to giveaway. I am not responsible for lost/missing prizes. The opinions in this giveaway are my own and not influenced by any outsider . I receive no additional benefits for talking about the product or company. 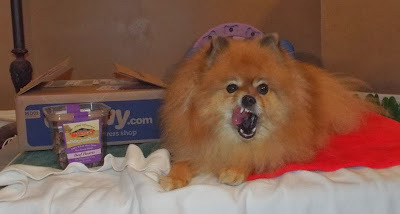 Wow these products sound amazing ,great review :) .You are welcome to join Yourspecialdog Blog with a story about your dog. BOL! I had such fun playing this game with you, Pepper! You sure do pack a lot...but I do too, especially when we are going camping. Speaking of which, that Puplight would be PAWESOME for my nighttime walks around the campground. I am going to have to look into getting one of those. I hope you have fun at Grandma's house and have a very Merry Christmas! I use pet wipes once in a while, but with five Treeing Walker Coonhounds (ranging from 52 to over 70 pounds), I would use too many to use them all the time. I don't have a specific brand. I've also used baby wipes in a pinch (especially for cleaning off dirty feet when they come into the house on a rainy or snowy day). I use a Petsmart brand for cleaning off my dogs feet when he has been out in the mud. 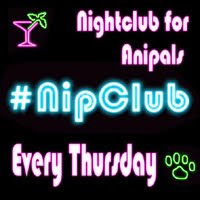 Mommy thinks those pop-up wipes sound furrific! The ones she uses are always drying out! She wishes she could fit us in a tote bag! BOL!! Have a good visit with Grandma! Don't forget to save room for your mom in the car! Have a safe trip and a Merry Christmas! I have never used the wipes. It would be great for my dogs' paws when they are wet and muddy. I use pampers baby wipes! We have tried one set of wipes, and we loved them. this is so cute! and you packed some items I didn't know about! thanks for the Pepper! the wipes especially look really cool!